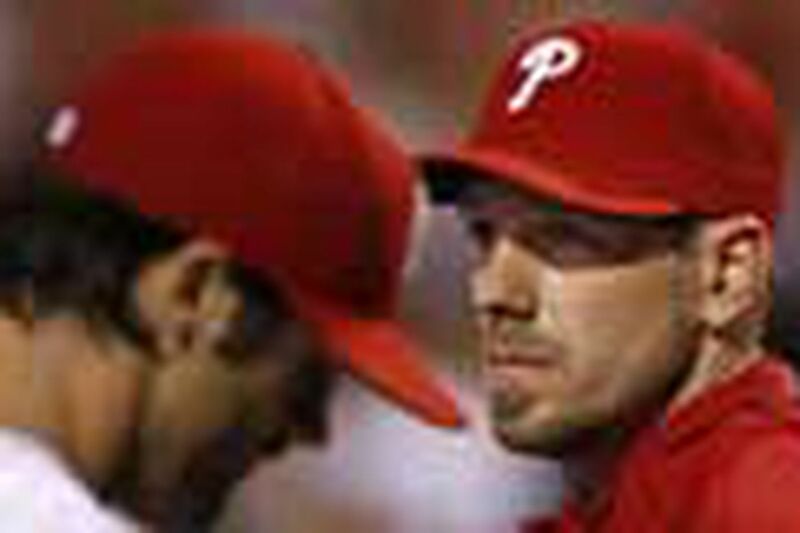 In addition to landing them a reigning Cy Young winner, the Phillies' acquisition of Cliff Lee last week served as a referendum on the importance of drafting and signing quality players each June. The centerpiece of the deal was 18-year-old righthander Jason Knapp, whom the team selected 71st overall last year and quickly signed to a $590,000 bonus. The early signing enabled Knapp to make seven appearances for the Gulf Coast League Phillies, where he went 3-1 with a 2.61 ERA and averaged 11 strikeouts per nine innings. The momentum from his strong rookie half-season carried over into 2009, when the 6-5, 235-pound Knapp went 2-7 with a 4.01 ERA and averaged 11.7 strikeouts per nine. Now Knapp is an Indian, Lee is a Phillie, and the organization is thrilled with the value they received from an 18-year-old who made just 23 starts in their system. The Phillies might be hard-pressed to duplicate their success from last season's draft, when they owned four of the first 71 selections. But with 12 days remaining before the deadline to sign picks - Aug. 17 this year - they are confident that they will be able to prevent any future Knapps from skating off to college. Although the Phillies do not comment on contract negotiations, club sources confirmed the team has agreed to terms with seven of their first nine selections in the draft. They have also made significant progress toward reaching agreements with high-ceiling midround draft picks Andrew Susac, a high school catcher from California who could help reinforce the recently depleted catching ranks, and Jake Stewart, a high school outfielder who some have billed as the best scholastic athlete to ever play in the state of Colorado. As of yesterday afternoon, the Phillies had signed their first selection, Kelly Dugan (OF, Sherman Oaks, Calif., $485,000), fourth-rounder Adam Buschini (2B, Cal Poly, $195,000) and fifth-rounder Matt Way (LHP, Washington State, $30,000), all of whom commanded bonuses at or below their estimated worth dictated by Major League Baseball's slotting system. They went above slot to land eighth-rounder Jonathan Singleton (1B, Long Beach, Calif., $200,000) and ninth-rounder Aaron Altherr (OF, Avondale, Ariz., $150,000). They have also agreed to terms with sixth-rounder Steven Inch, a righthander from Edmonton, Alberta, on a six-figure bonus. Unsigned are third-round draft pick Kyrell Hudson, an outfielder from Vancouver, Wash., who is committed to play both football and baseball at Oregon State, and seventh-rounder Brody Colvin, a righthander who is committed to Louisiana State. Over the last couple of years, scouting director Marti Wolever and the Phillies front office have been relatively aggressive in their attempts to sign draft picks. Last year, they shelled out $500,000 - an estimated $200,000 above slot - to sway third-rounder Jonathan Pettibone from a commitment to USC. Pettibone, a 6-5 righthander from Yorba Linda, Calif., is 2-3 with a 4.78 ERA, 34 strikeouts and 13 walks in 32.0 innings for rookie league Williamsport. A few hours before game time, Shane Victorino sat in an office chair and rolled up a brace on his left leg, revealing a large purple bruise on his inner thigh just above the knee. Although the centerfielder is not fully recovered from the bruise he suffered while diving for a catch on Wednesday in Arizona, he returned to the lineup last night after having been limited to two pinch-hit appearances over the last four games. Although Victorino admitted to being sore, he deemed himself ready to play. "Hitting is fine," Victorino said when asked of the injury's effect. "It's everything else." While Brett Myers' return to the active roster is not imminent, he has made significant progress over the last couple of days in his return from mid-May hip surgery. Myers threw 52 pitches in a bullpen session Monday and began running drills yesterday. He is scheduled to throw a simulated game tomorrow in Clearwater. The Phillies are optimistic that the veteran righthander and free-agent-to-be will be able to help them out of the bullpen at some point after rosters expand on Sept. 1. Righthander Chad Durbin (back) is scheduled to make his first rehab appearance today for Class A Clearwater. Lefthander J.C. Romero (forearm), who was eligible to return from the disabled list yesterday, is scheduled to make his first rehab appearance Friday in Clearwater. Durbin is eligible to return Friday, but will likely need more time in the minor leagues before he is ready. The Phillies' other reliever on the disabled list, righthander Clay Condrey (oblique), recently began long-tossing and is much farther away from a return than Durbin or Romero. Before pitching two innings in relief and giving up two runs last night, righthander Rodrigo Lopez went 3-1 with a 3.62 ERA in five starts. The 33-year-old has a 2.95 ERA in 26 career relief appearances, most of them with Baltimore. Manager Charlie Manuel said yesterday he had not thought about how he might use Lopez, who lost his spot in the rotation to Cliff Lee. Lopez has a minor league option, but also has more than 5 years of major league service, meaning he has the right to decline an assignment to the minor leagues.